Less than an hour ago with my wife. Do you prefer someone who's cold outside and warm inside, or warm outside and cold inside? Has anyone been jealous or envious of you? How would you react to your partner shouting at your younger sibling? Is your best friend male or female? My 18 year old sister is selling herself she comes from a good home why? I'm not a very affectionate person. I don't think I have ever been affectionate except on very rare occasions. Also - a good friend of mine when I was younger said that even though we were very close - she wasn't sure it was correct to say that she loved me. I've also had friends that had the potential to be loved by me but they chose to retain a distance from me. Maybe when my deceased Uncle, younger bro of Papa. the one who fixes our computers and searched and gave us games who tries many times to carry me when I'm 2 years old stayed w/ us at home n videoke nd telling stories! He taught my older bro Computer Programming. Everyday to my kids, but the last time I said I love you to a significant other was June 16,2017. My fiancé of 7 years walked out the door after a morning love sesh and I kissed him, hugged him and said I love you ( and truly meant every part of the word love faults and all) as he went out the door to work. I just didn’t realize that would be my last time saying it to his face! He died unexpectedly driving home that afternoon from work! Sad but true! That’s the last time I have said it. I’m so grateful I did!!! Years? Definitely a VERY long time. Do you read him a bedtime story? Every time I write my best friend, Kelly and sometimes when I talk to Carol, my other best friend. A couple of hours ago. When i got off the phone with my grandmother. Today, yesterday, the day before that, tomorrow and so on. My partner and I are very happy together. I've never said it to anyone aside from family members, and probably never will. It was a time where things got out of hand unintentionally. A hour ago, boyfriend fell asleep lol. If you mean to peers, I have never said it. Just a minute before to my sweet wife. Yesterday to my sweetheart Michael. 3 years ago. Don't intend to say it again. Years ago. Can't even remember. Yesterday when i called my parents. Can't remember. If I've ever said it to someone, I know I've never said it a completely open and honest romantic way. 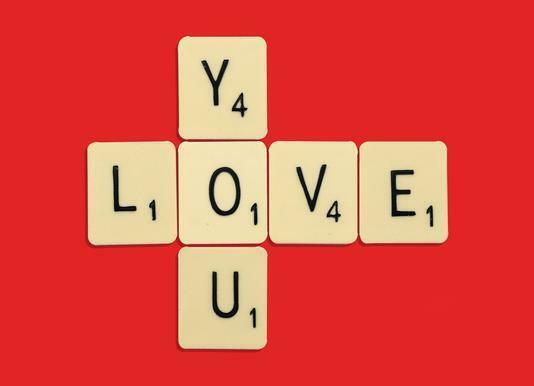 Home > Family & Friends > When was the last time you said “I love you” to someone?